Overall, we are still not in a place where our wildlife is safe. 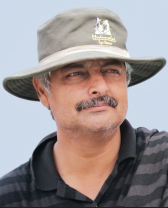 Vivek Menon, executive director and CEO of Wildlife Trust of India, asserts in an interview to India & You that the country needs to tread a middle path where growth should not just be economically sustainable, but also ecologically sustainable. How do you see India facing the twin challenges of economic development and ecological conservation? India has to address the twin challenges of economic progress and ecology. It also has to address the challenges faced by the poor. So, it is a triple challenge. We have got to get our economy up, feed people and ensure that our natural heritage is not compromised. Is India handling the triple challenge well enough? It is a tight rope walk. What will save our ecology is our ancient value system and ethics. The only thing that will come out of unchecked political compulsion for economic development is outright and rampant destruction. But many of our politicians don’t want to completely destroy nature as it is against also their basic ethics. That is what we have to play on. Man-Animal conflict is increasing everyday in India. Where is it leading to? It is leading us into uncertain times. About 500 to 600 people are getting killed everyday due to man-animal conflict, apart from crop loss and destruction of property. Elephants kill 400 people on an average every year. Then, there are attacks by tigers, leopards, and other animals too. The death of 500-600 people is not a joke. This is slowly taking the tolerance factor away. In places where elephants are worshipped, people have killed them and written on it, ‘Paddy Thief Bin Laden’. This happened in Tezpur area of Sonitpur district in Assam. See how peoples’ psyche has changed from worshipping the elephant as a symbol of Lord Ganesha, the remover of obstacles, to branding it as ‘Laden’. Some young boy must have scribbled it on the dead elephant, but it is very worrying. Do you think the man-animal conflict has been addressed adequately? I don’t think it has been addressed adequately. 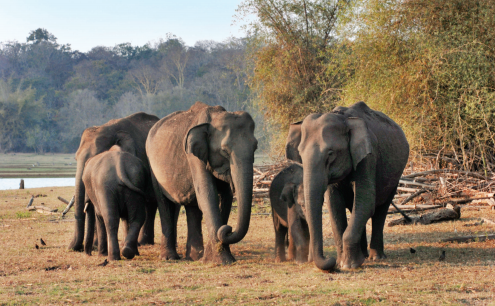 The Wildlife Trust of India has launched a month-long campaign —Gaj Yatra— to raise awareness about the shrinking space for India’s wild elephants and their corridors. Over the next 15 months, the Gaj Yatra will do road shows across 12 elephant states. Partnered by the International Fund for Animal Welfare (IFAW), it is the biggest-ever event planned around India’s wild elephants. We are taking the yatra through the villages in and around the elephant corridors. Are similar efforts being undertaken in other areas which witness mananimal conflicts? Efforts should be undertaken in case of leopards, and is being done in Maharashtra, but not in other places. India is looking for an exponential rise in tourism. Will it be an overkill of eco-tourism? Eco-tourism is an oft-abused word. We have to understand what it truly means. If you go by the basic tenet of it, then 75 to 80 pc of what is being practised today in India is not eco-tourism. It is damaging tourism. Tiger reserves are crowded with people, who are ill informed. They are being managed by forest departments. Children should learn early on and right from the beginning. Instead, they travel in air conditioned buses and stay in five-star lodges. Their ability to walk is gone. Crimes against wildlife world over are estimated to be USD 70 billion. With rich biodiversity, where does India stand? India is very important in all of this. We don’t believe in giving a figure to wildlife crime. But it is a large one, as India is a big source with the country housing 65 pc of the world’s tigers, 75 pc of Asian elephants, 85 pc of Asia’s rhinos, and 100 pc of Asiatic lions. Obviously, there is a pressure on India. Like drugs, India is also a transit for wildlife products. But we are not as much consumers of wildlife products as in the case of shahtoosh. India’s conviction rate in wildlife crime is poor. As for poaching having an impact, it is the last straw that will break the camel’s back. Of late, India has been witnessing online trade in wildlife products. Online trade in wildlife is a big crime. People have woken up to it. The Wildlife Crime Control Bureau is taking some steps to curb online crime. Along with the World Land Trust, the Wildlife Trust of India is buying space for conservation. What do you expect to achieve? We are basically securing land through four or five different models. The easiest, albeit expensive, model of purchasing land is from private parties. The difficult one is looking at the model where communities have set aside land. We have to see whether this can be used for conservation. We are trying to build a buffer between the national park and people. When we look at India, it’s a very different kind of land purchase, compared to other countries where you have thousands of acres of land to buy, and that too, relatively unpopulated land. In India, land is densely populated. The mass of land you need to buy may be 25 acres or 100 acres, or even smaller parcels, but they connect protected areas; they may connect mountain ranges, tracts of land across a river, and critical movement paths for elephants. Of our seven ‘big ideas’, as we call them, one is land securement, and the idea is very simple. It is to add one pc of land in India to the protected network. And we identified those six or seven categories of land that would form part of it. 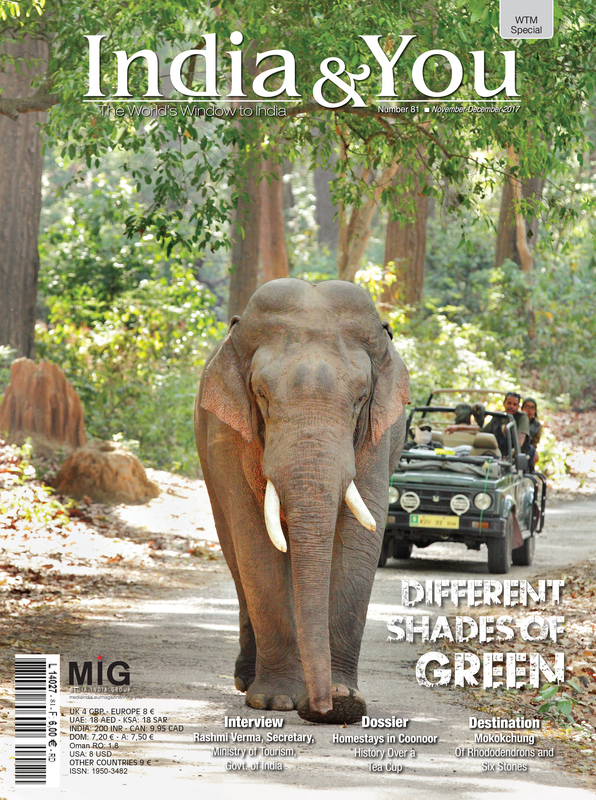 The first one comprises elephant corridors. India has now drawn up the Third National Action Plan on Wildlife. What are the highlights? I was part of the committee that wrote the action plan. It was written more than a year ago, and we were 15 of us. It is not a bad plan. But eventually, plans are good or bad based on how they are implemented. Often, global conferences, action plans and big announcements deliberate on protection of wildlife and people’s participation. Do the poorly paid and poorly equipped forest guards figure in all these? There is a full chapter on van-rakshak or protectors of forests. They are the backbone of India’s frontline defence in saving and securing wildlife in the country against poaching. They need full attention. Recently, the Supreme Court rebuked the Centre over its decision to reduce the radius of a buffer zone for ecosensitive areas from 10 kilometres to 100 metres. A balance is required. A middle path is always good. In a country with 1.35 billion people, making eco-sensitive zones so large may entail enveloping villages and towns. It is not practical, though it may be ideal. If you limit it to 50 metres, it is absolutely useless for the ecology. There cannot be one model for the entire country. We should instead study the particular area in question and decide on what that ecology requires. India is building many infrastructure projects. Will it not damage our ecology and wildlife? Growth has to be ecologically sustainable as well, and not merely economically. We have to get ecologists and scientists to make a totally apolitical judgement of what is the minimum requirement for wildlife to survive. That must be taken into account while looking at the larger picture. The minimum required must be left alone. If linear infrastructure is cutting into the minimum required, then you are asking for trouble in the long run, as a large number of people are doing good things; but, overall, we are still not in a place where our wildlife is safe.